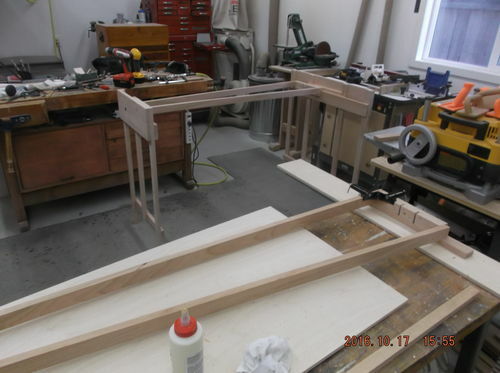 Building the frame was just straight forward woodworking, accurate measurement and square cuts. 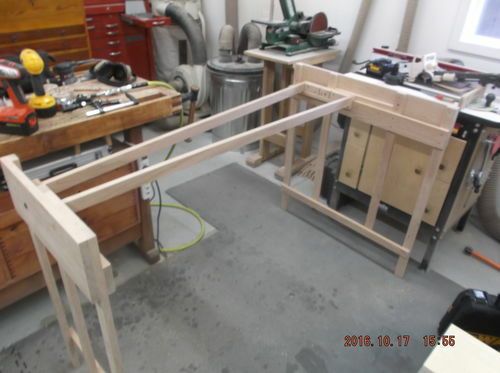 I built the frame out of cherry 1. 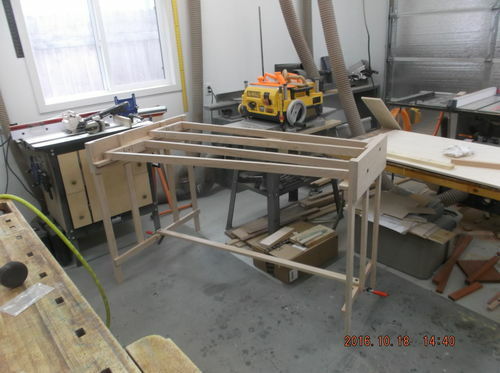 I like cherry and how it darkens over time and 2. it was a $400 upgrade for frame on one of the commercial marimba websites. I can get cherry at a reasonable price here. The first thing is to make the two ends. Time to make the keyboard frames. This is one place where building the glockenspiel first really helped in understanding why and how important getting square and proper angles was. 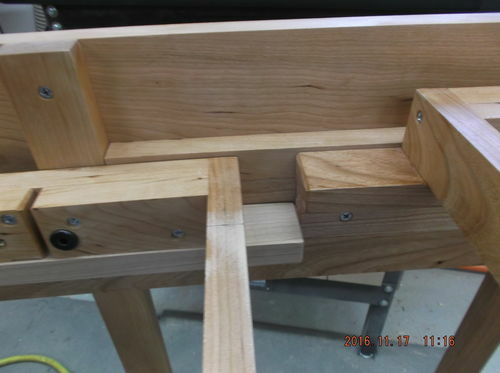 It was a lot easier and cheaper to rebuild the glock frame than a marimba. One of the steps in before final tuning and suspending the keyboard is to find the nodes and dril for the suspension cord at the nodes. 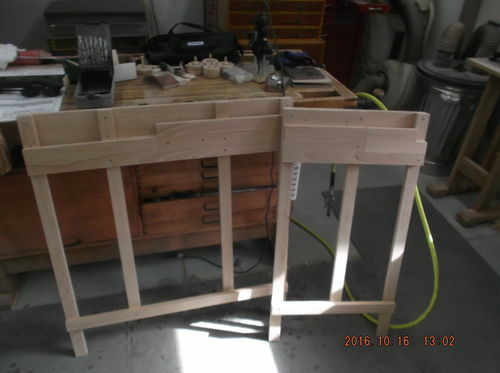 The plans cover this very well and talk about each wood being slightly different and slight differences differences even between boards. after finding the nodes I also found my lowest C key was tight against the upper keyboard. So I needed to move the lower keyboard over about 1/4”. unfortunately because of the location of the current mounting holes and resonator mounting I had to move everything over 1 1/2”. Not a big thing mainly an inconvenience. If I do another I will find the nodes before completing the mount spacer on the keyboard frame. In this picture you can see where I had to move the lower keyboard to the left. I probably could have drilled the key node slightly off but I didn’t like the way it looked so went the long way around. 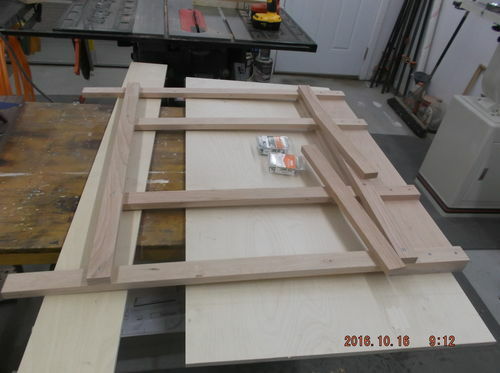 Frame is complete except finish only have one coat of lacquer on it at this time. We’ll do the final finish when everything is complete. Back to working on the keys and keyboard.